This could be any type of McDonalds drive through burger, but we’re in Hawaii! 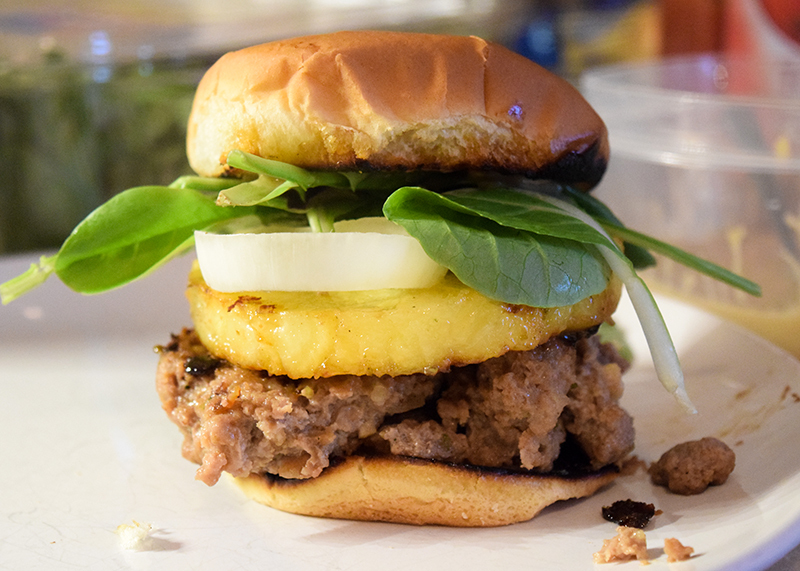 Lets make some Pineapple Teriyaki Burgers! In a seperate bowl, combine the sugar and lime shavings. Mix well. Dip the pineapple rings into the sugar/lime mix. Grill along side of the the pineapple. Serve on toasted buns, topped with wasabi/teriyaki mayo. 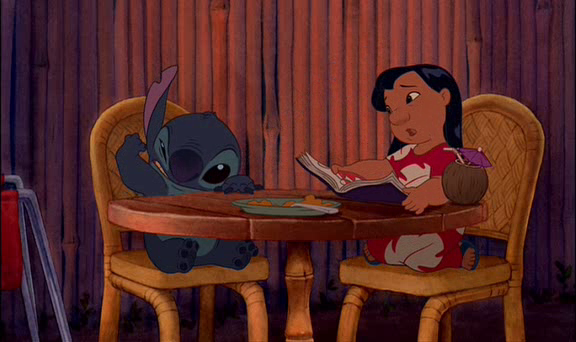 When Lilo is waiting on her sister, before she has the yummy cake, her sister takes away a half-eaten plate of mashed sweet potatoes, that Lilo supposedly likes. 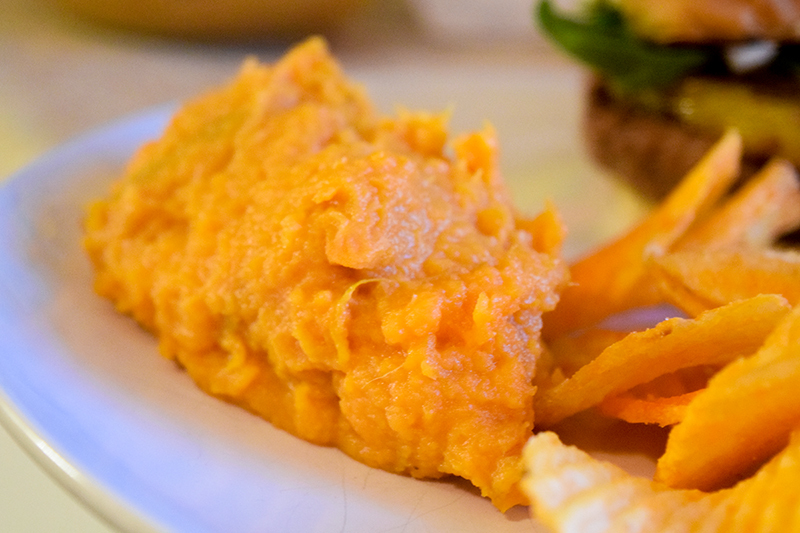 Whip the potatoes together with the milk, coconut milk and butter. 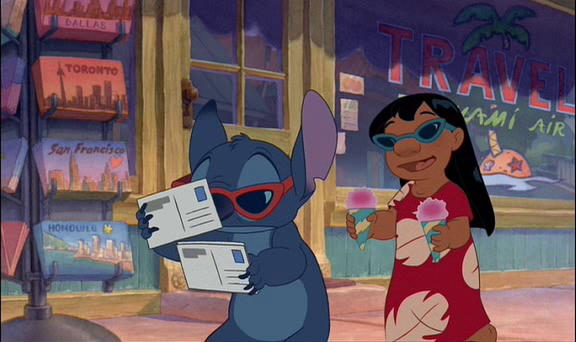 In the montage of Lilo and Stitch becoming friends, Lilo brings Stitch a pink snow cone. In a saucepan, stir together the sugar and water. Bring to a boil, and boil for about 1 minute. 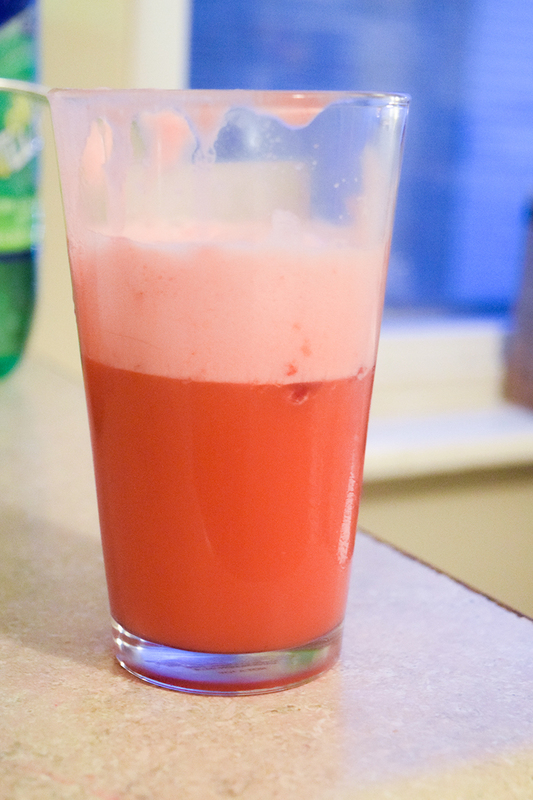 Now you can make that same pink snow cone from the comfort of your own home! 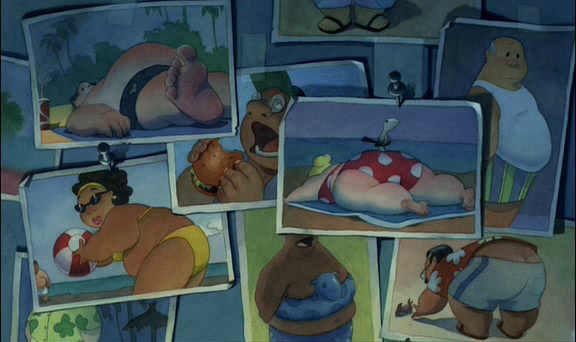 When Jumba and Pleakley are spying at Nani’s work, we see Pleakley with a coconut drink. Mix all the ingredients, then add the raspberries. 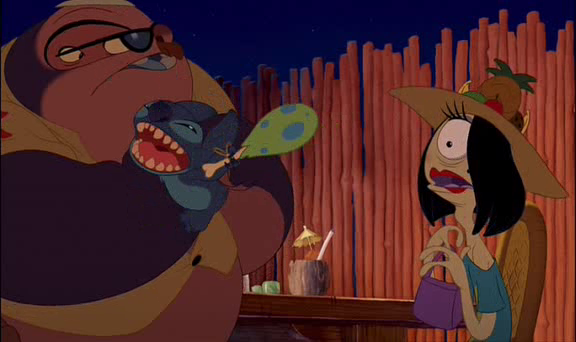 At the end of the movie, stitch makes Lilo a HUGE birthday cake. Add the oil, milk and egg yolks and beat until smooth. Cool and then slice the cake in half so you have 2 equal squares, then cut each of those squares in half across the depth of the cake. You should have 4 layers now. whisk together water, sugar, salt, butter and cocoa. In a mixing bowl combine cornstarch and water. Whisk into cocoa mixture stirring constantly until mixture thickens. Pour frosting over cake, 1 layer at a time, while still hot; spread evenly with a spatula. 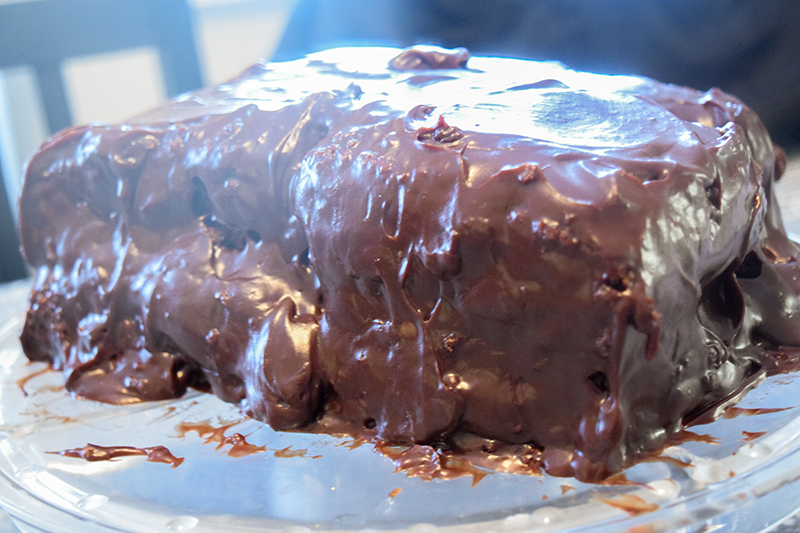 This recipe is for Hawaiian dobash chocolate cake. Will it Make you Reject your Programming and Learn to Love?